ADA Offroad is the premiere stop for all of your truck and car needs. We specialize in off road accessories for trucks, cars, and trail rigs. 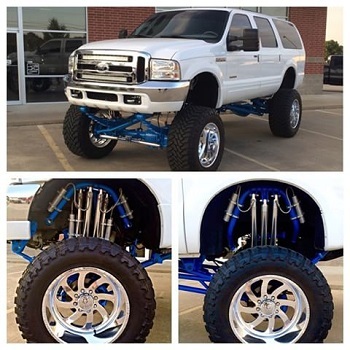 ADA Offroad is committed to providing each customer with quality service and an awesome finished product. ADA Offroad offers over 200 different brands of accessories and performance upgrades for 4x4 vehicles, Trucks, and Cars. We service and provide professional installation on every product we sell our customers. Whether it’s just a simple vehicle service or a full customization ADA Offroad is the perfect place to take your vehicle.
. We offer an array of products, brands and services that are sure to meet all of your truck and 4x4 needs. Come on by ADA Offroad and see Josh and his team. We will give you great service and guarantee loyal work done by professionals who put customers first.